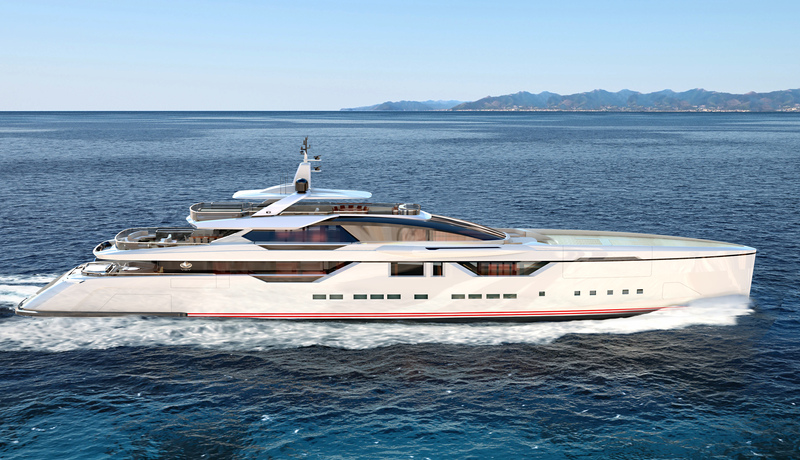 The Andromeda 65 by Studio Vafiadis stems from VSY’s decision to launch collaborations with new designers, alongside the long-established association with Espen Øino. 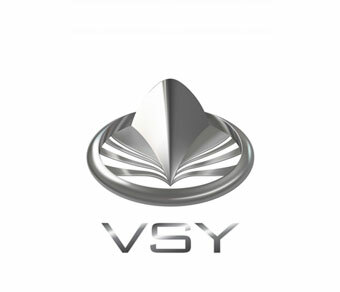 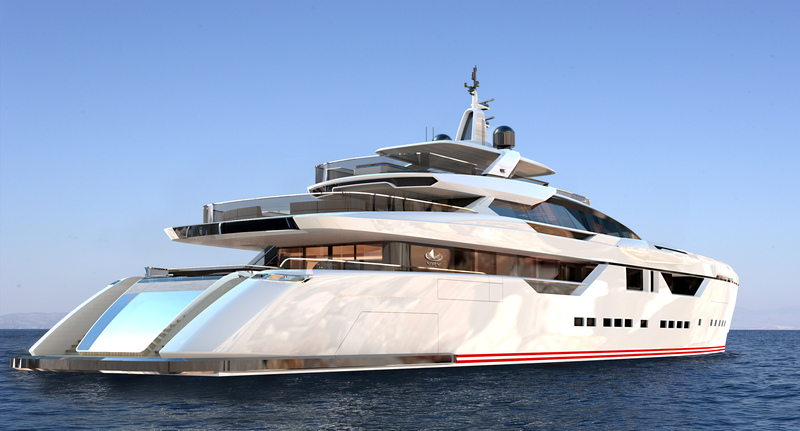 This project represents an excellent example of the creative work carried out by Studio Vafiadis intended to harmonize the lines of a yacht that’s complementary to the VSY family line, using the well-tested 64M platform developed by the shipyard. 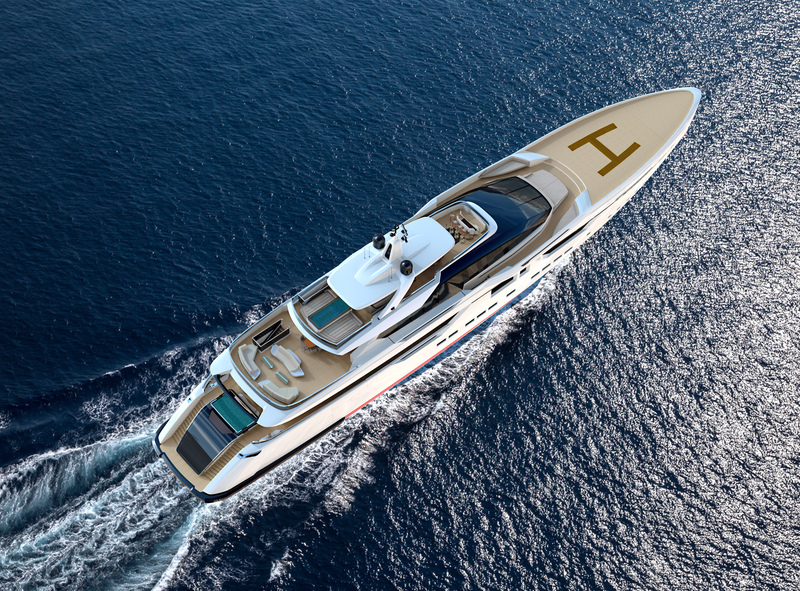 In stylistic terms, the concept stands out with its particularly sporty, sleek lines, which at the same time confer lightness and strength to the profile. 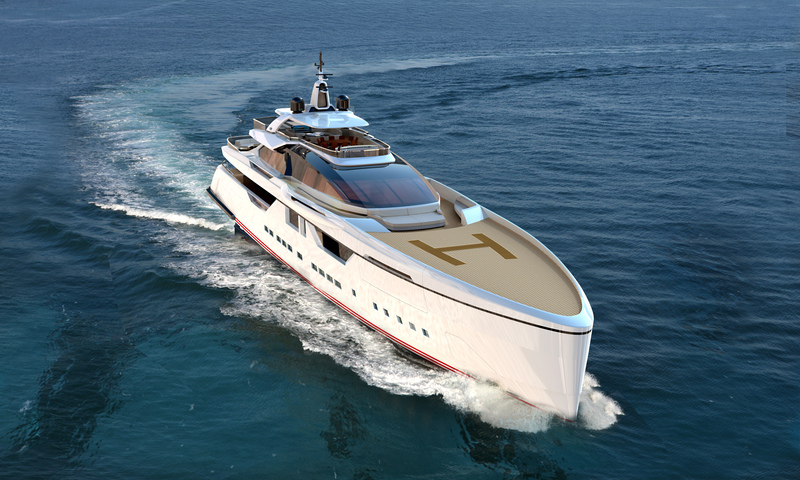 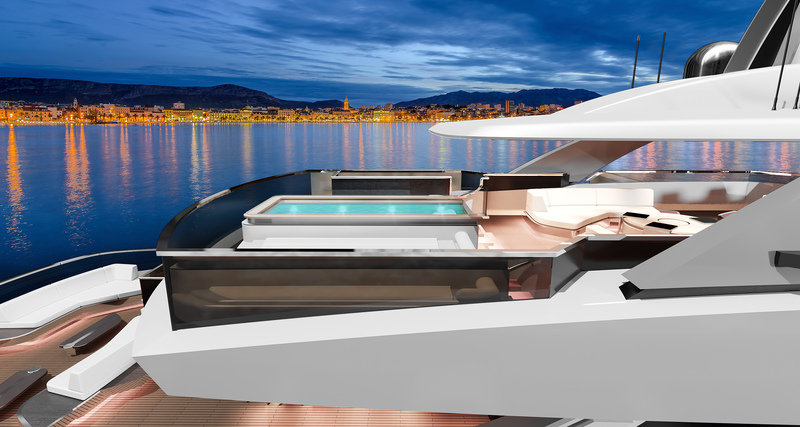 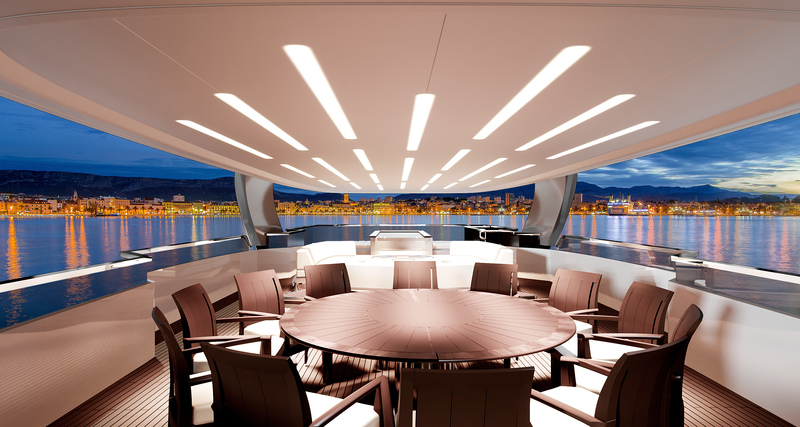 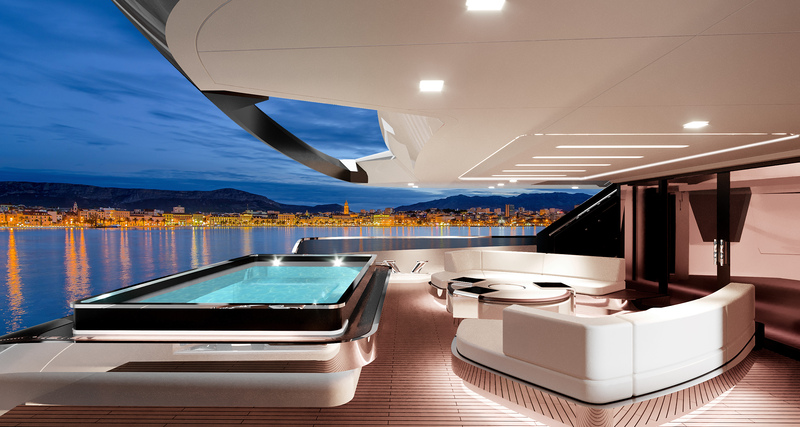 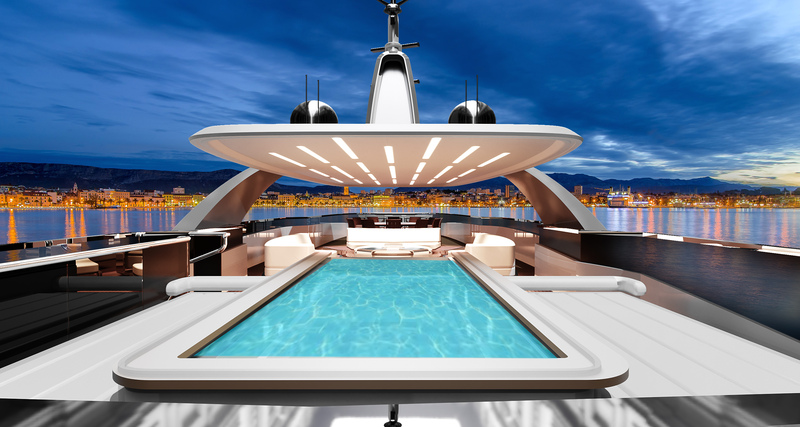 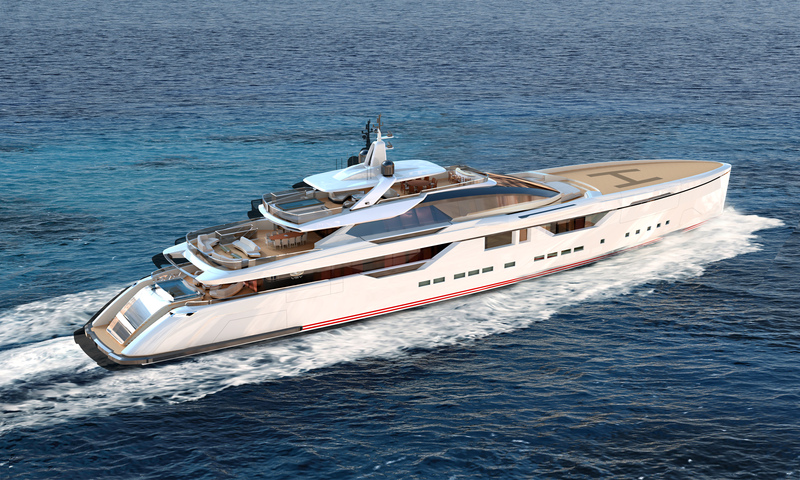 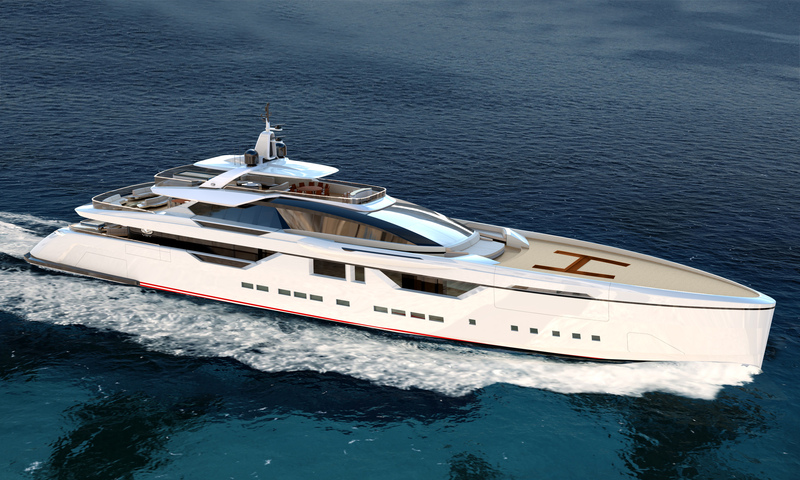 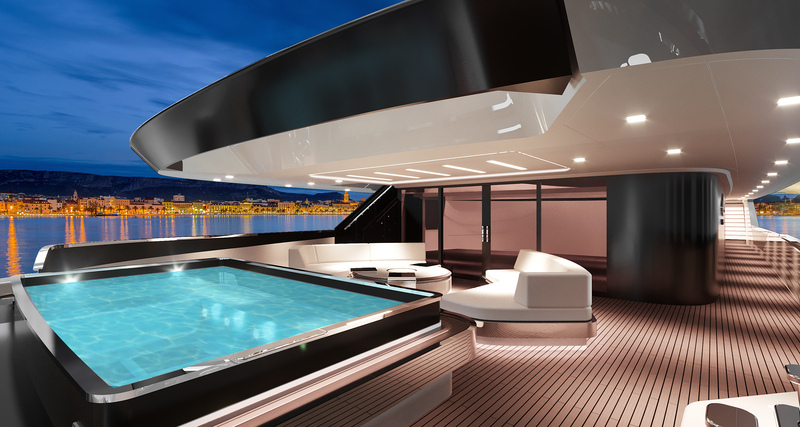 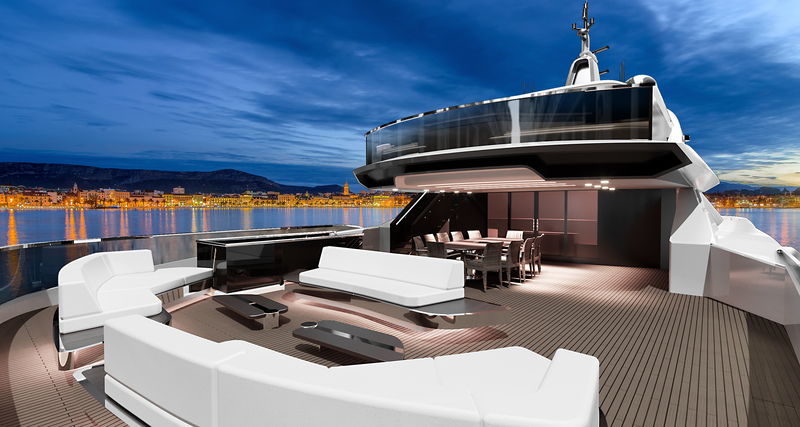 In this configuration, the volume and arrangement of the internal space could still belong to a mega yacht over 1,000 GT without any limitations. 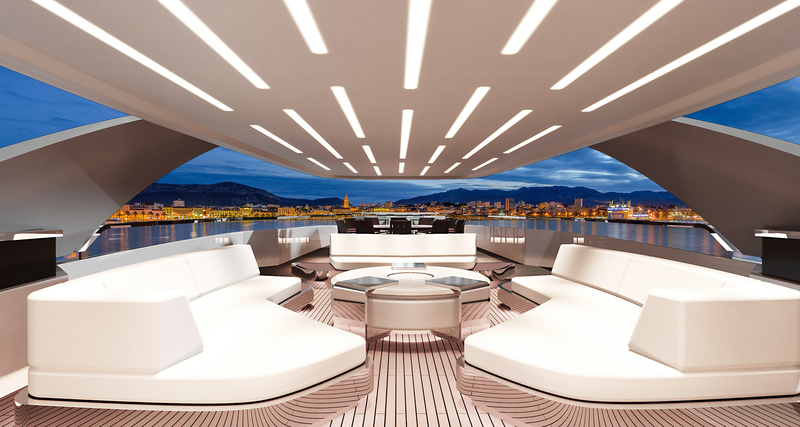 From the ample sundeck on the top level to the lounge and dining areas on the upper and main decks, but most of all, the magnificent owners’ suite, taking pride of place forward of the main deck. 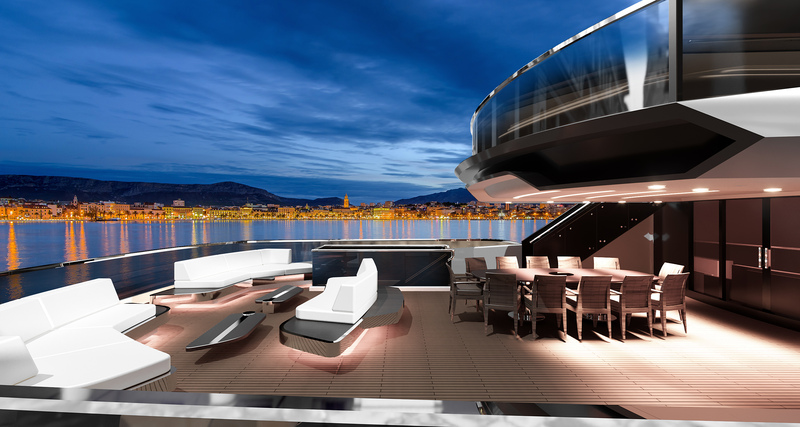 The project is nicely completed by a swimming pool overlooking the stern platform, almost hanging on the sea below, ideally and seamlessly embracing the exceptionally spacious beach area underneath.